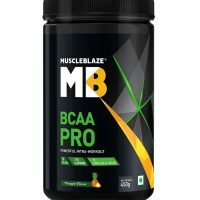 Ideal for protein synthesis and building muscle because muscles absorb this protein very fast. 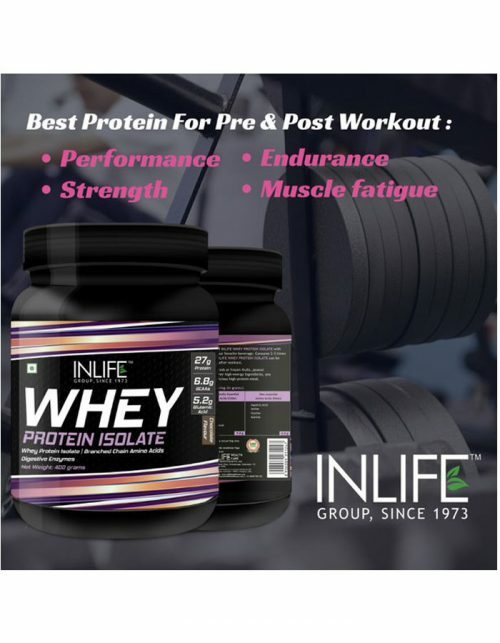 “BEST QUALITY PROTEIN: INLIFE 100% Whey Protein Isolate, your muscles absorb the protein very fast, it’s the best kind of whey protein powder if you want to improve body composition. 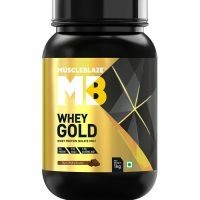 It has whopping 27 grams protein for every 33 grams (1 scoop) of serving, ideal for protein synthesis and building muscle. 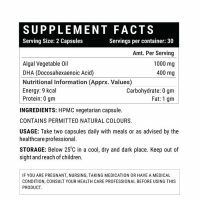 Its high in BCAA’s and EAAS, they help to protect your muscles, increase muscle mass, resistance and help with your overall hormonal environment. 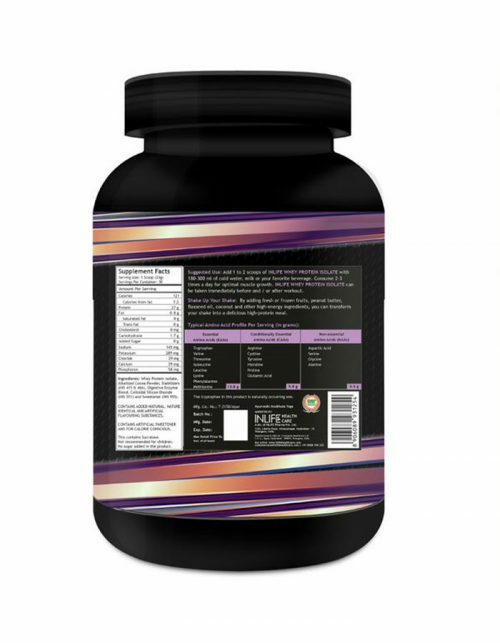 PACKED WITH DIGESTIVE ENZYMES: Not only is INLIFE 100% Isolate Whey Protein is full of high quality protein, but it also has the added benefit of digestive enzymes to help you get the most out of each scoop and puts the high-quality protein to work quickly and efficiently. 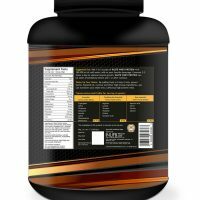 AMAZING TASTE PROFILE: INLIFE Whey is formulated not only for an amazing taste but it also mixes easily and smoothly in your drink of choice. No chunks, great flavour, no stomach bloating. Nothing but high-quality protein powder to fuel your muscles and a taste you will look forward to every time. HIGH QUALITY MUSCLE FOOD: INLIFE Whey is fast absorbing and has a clean profile to help you reach your nutrition and fitness goals. 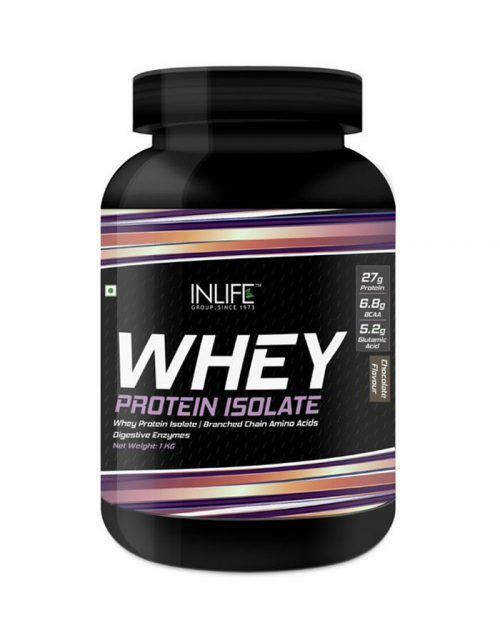 If you are packing on weight or cutting calories, INLIFE Whey protein isolate powder is the protein powder that can get you there. Available in 2 sizes: 400 gm and 1kg.